We provide infrastructure service that fits your needs. Click for details. Take advantage of our software as a service offerings. Click for details. Deploy customized or off the shelf applications. Click for details. We help you better align technology and business better. Click for details. ​​​​​​​Welcome to GBB CONNECT 2018, Volume 1, 2018, an e-Newsletter publication of Galaxy Backbone Limited. We are pleased to inform you that we are now at full capacity and can once again guarantee quality of service. 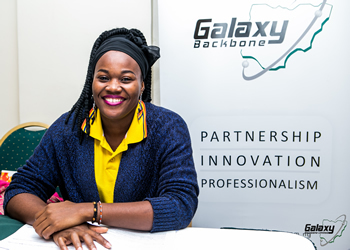 Welcome to the Galaxy Backbone Support Services! Find your answers with the search box above, or if you're stuck you can create a support ticket and we will make sure we rectify your issues in a timely manner. The standard support is a bundled add-on service from Galaxy. The service guarantees comprehensive maintenance of the CPE and support of the service. Copyright 2016 © Galaxy Backbone. All rights reserved.